Nineteenth-century Italy is a vast, unexplored territory in the history of modern political thought and liberal democratic theory. Apart from Mazzini, Pareto, and Mosca, the authors of this period are little read, even though their central concerns - the riddle of human liberation, progress, and liberty - are as important today as ever. This volume presents a selection of the writings of Carlo Cattaneo (1801-1869), one of the period's most important thinkers, as selected by an equally important personage of a subsequent time, the anti-Fascist intellectual Gaetano Salvemini. 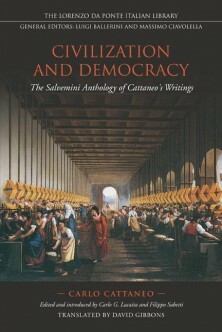 Cattaneo had a profound sense of the historical contingencies underlying the quest both to understand human affairs and to realize a self-governing society. Cattaneo's ideas and framework of analysis - like those of John Stuart Mill and Alexis de Tocqueville - were not shaped by a narrow intra-academic agenda but by the great social, economic, and political transformations of his time. The issues he addressed included problems of revolution, reform, and change in the passage to modernity, which extended far beyond the confines of nineteenth-century Italy. The selection of original pieces presented in this translation is preceded by an introduction by the editors, Carlo G. Lacaita and Filippo Sabetti, which guides the reader through Cattaneo's thinking and puts it in a comparative context. Ultimately, however, it is the editors' goal to let this profound Italian thinker speak for himself.